• Trueform Concrete's concrete mix is an extremely high-strength GFRC mix utilizing super water reducers, glass fiber reinforcement, pozzolanic material, and mix additives to increase the early and overall strength of our concrete products. Why does concrete show variation on the surface and edges? Trueform Concrete is an industry leader who takes pride in superior quality control - especially with regard to our casting process. 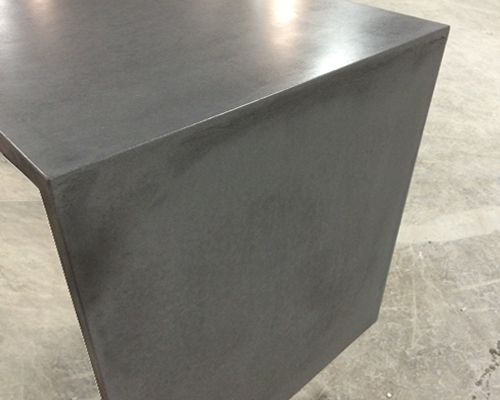 All of our concrete products are heat cured for over 12 hours. We use a very low water-to-cement ratio and a considerable amount of mix additives to ensure you are getting the best high-strength concrete on the market. Our batching, weighing, and casting process is extremely consistent, with all ingredients being measured to the 100th of a gram. 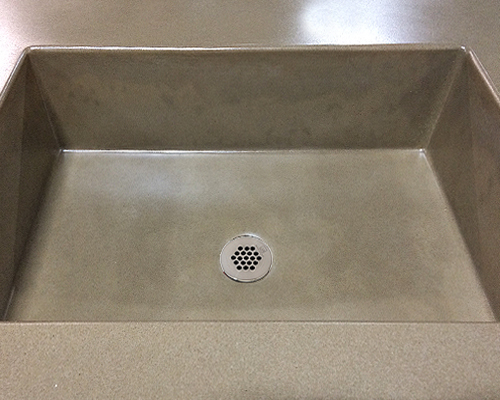 Trueform is and always has been dedicated to perfecting the art of casting amazing concrete products. Even with all these processes, structures, and protocols in place, completed concrete projects will exhibit variations and random markings. So why does your concrete appear "imperfect"? 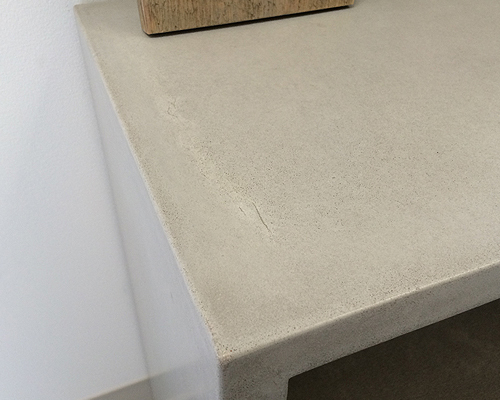 There isn't one particular reason why concrete products show surface and edge variations. The first step to understanding “why” is to understand that this material is the finished product of a chemical reaction called hydration. A lot of chemical reactions occur within the concrete during the curing process which affect the final surface as well as the integrity of the product. 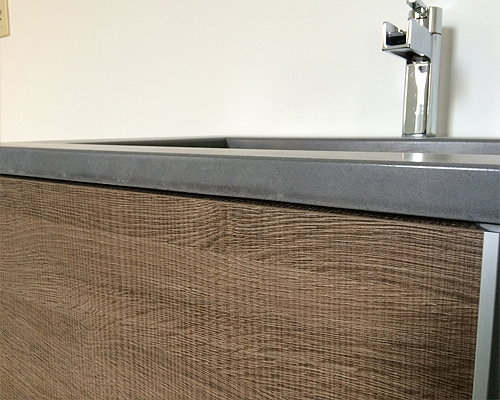 Moisture and heat escape the concrete, leaving behind a visual story on the surface and edge of your project. Two other factors that have a huge impact on the product's appearance are the casting process and the artisan's touch. Both add their own chapters to the concrete production story. What you may consider an unacceptable blemish is merely the evidence of the story in which your concrete project was created. If that variation was not present, the product would be void of the integrity to what it is… Hand Made. 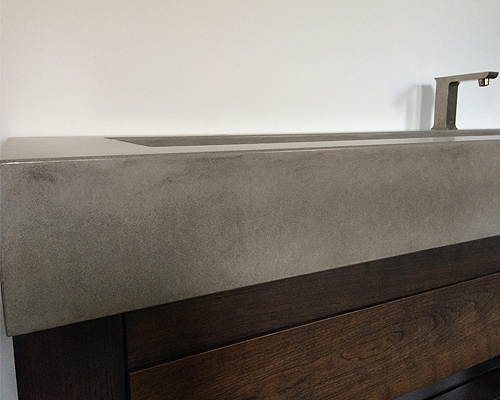 Sometimes you just have to accept that concrete is hand made and has variation to it that we can't control. Below are some examples of concrete surfaces and edges that show a type of variation that you may see on your concrete project. Several of these photos are from our New Jersey showroom and are considered completely acceptable within our industry.